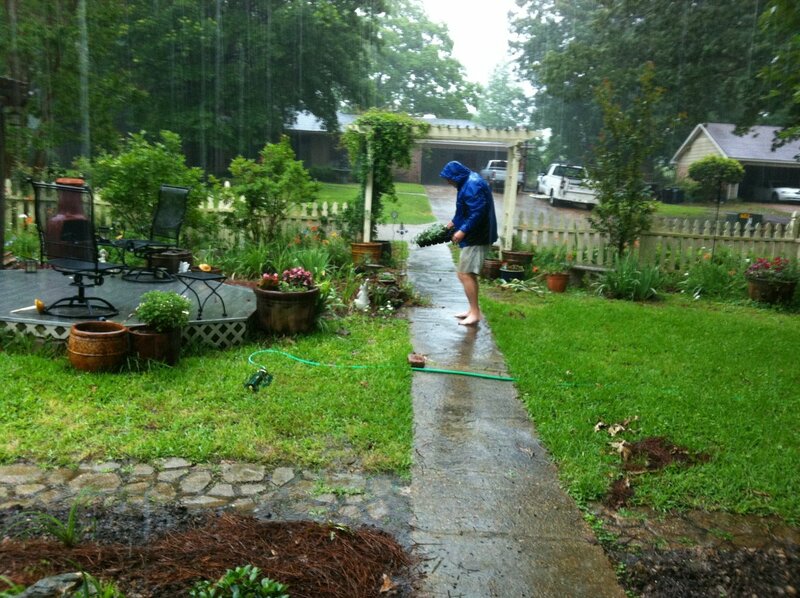 But like I said, it wasn’t really raining all that hard, and I had things to do! I have to admit, not long after this, the rain started coming down pretty hard, and I was pretty much soaked by this point, so I decided I’d gotten done most of what I wanted. 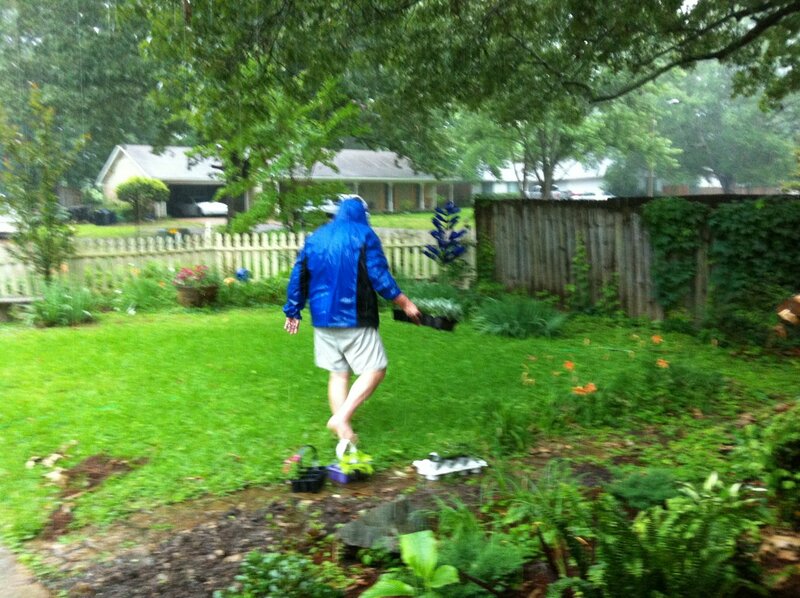 We ended up with about 3 1/2 inches of rain, most of which fell later in the afternoon. And after the pots I planted have recovered from the deluge, I’ll post some photos. 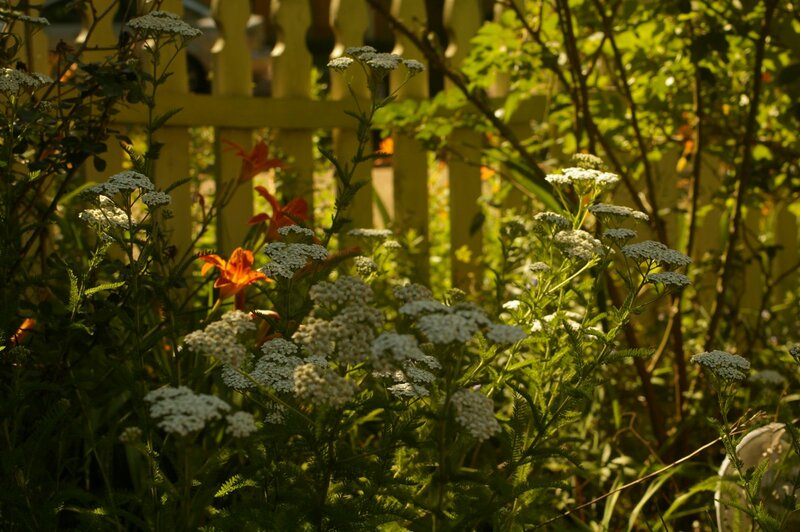 The achillea in my front bed is in full bloom right now, staging a accompaniment for the daylilies just beginning. A late cool snap (not that cool, but lows in the upper 50s and highs around 80) induced me to take a day off yesterday and play in the garden. 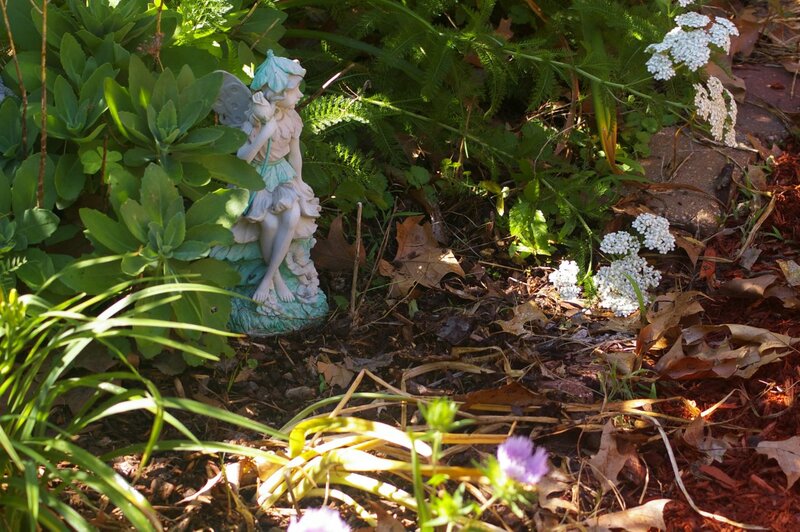 I planted a number of bulbs – caladiums, calla lilies, stargazer lilies, along with some salvias, euphorbia, and zinnias in my annual bed in front (mostly annuals – I have moved some daylilies there to allow them to recover from being planted in a space that got too shady for them. I’ve found that daylilies tend to sulk when they have too much shade). I also dug out a large patch of cannas by the pool in back, that had gotten too overgrown for that space, and a crepe myrtle that I just no longer liked. Why is she sad, you ask? Because there, right at her feet, she expected to see some Rudbeckia hirta “Cherry Brandy” some back up this spring. I ordered three from Bluestone Perennials last spring, and while they struggled a bit last year, I expected to see them this year. But no sign of them ever appeared. Neither did the Rudbeckia hirta “Cherokee Sunset” that I also ordered, but since those had pretty much disappeared by the end of last summer, I didn’t really expect to see them again.